Today's the day you've all been waiting for! 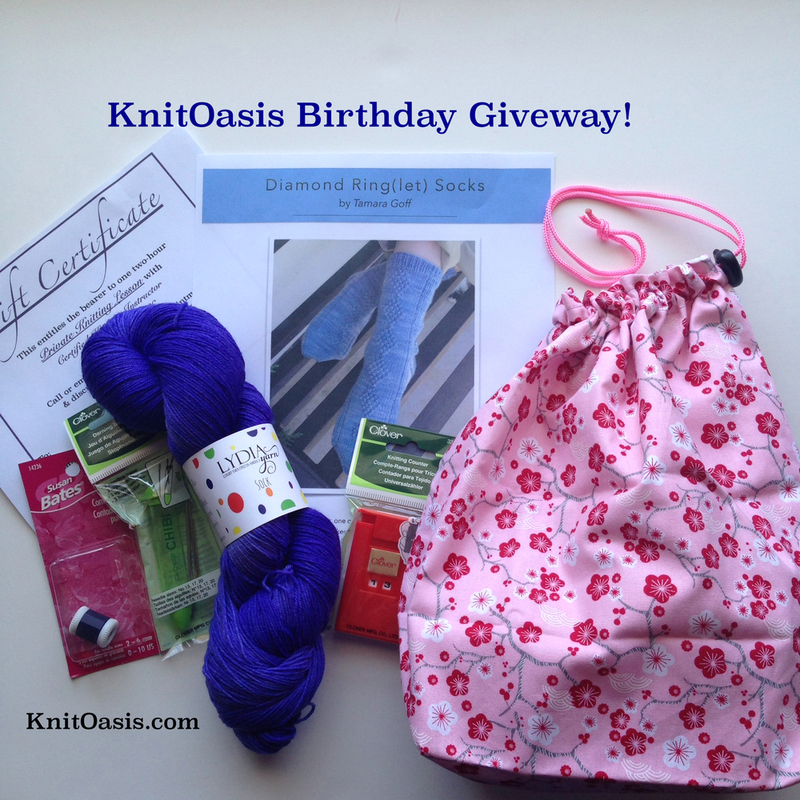 The day we draw the winning name from all the entries received during the month of April on our #knitoasisbday giveaway. Thank you so much to all who participated! I loved seeing all the afghan blocks come in to the studio here, piling up to make some amazing blankets for the kids at Carolina Youth Development Center! And I'm so excited that our winner will be getting all these awesome prizes. Thank you again to our lovely sponsors, LYDIA Yarn and C-Bags for your donations! It's time, y'all. Time to get serious about knitting up those afghan blocks for our Charity Knit-a-Long for the CYDC. Time to get those needles cranking out 7" x 9" blocks of knitted love that will get sewn into awesome blankets for the use of kids in need. Time to share with others about this project. Time to help the CYDC out with gifts that help them provide for the children that come through their organization. TIME TO DO ALL THAT AND GET ENTERED IN THIS AWESOME CONTEST! Social media sites to use: Facebook, Instagram, or Twitter. Remember that your social media sharing settings will need to be set to public for these posts so I can find them. Sharing includes posting links to this post or any of the other Charity Knit-a-Long posts.